With family and friends at Camp Arcadia in 2017. Join me this summer to reimagine Islam and Christian-Muslim relations in Michigan! What do you think of when you think of “Islam?” Whom do you picture when you think of Muslims? How might we envision ways to love our Muslim neighbor despite what we see in the news? How do we deal with the stunning diversity of the world and its presence in our lives via the rapid and constant movement of ideas, people, technologies, and religious practices? This summer (June 22-29, 2019), I will be leading a one-week “dean and lecture” program posing, exploring, and unpacking these questions and more with participants at Camp Arcadia in Michigan. Beyond considering the ways Christians have imagined Islam past and present, these sessions will aim to challenge what we think we know about Muslims, and invite us to reimagine our relationship with Islam and Muslims alike. In addition, we will use the “case” of Muslim-Christian relations to re-imagine how we think about, live alongside, and engage with “others” in general. I will be joined in the “dean and lecture” program by Heather Choate Davis, who will be presenting “God’s Visionaries: Seeing the Big Picture.” Heather is a writer, speaker, theologian, liturgist, and servant based in Los Angeles. In 2013, she received her MA in Theology from Concordia University Irvine, and is now completing a two-year intensive training in Christian Formation and Spiritual Direction. I encourage you to consider attending and registering for Family Week 1 to join Heather and me at Camp Arcadia. Camp Arcadia, located in Northwest Michigan, is a non-profit, Lutheran, family resort and retreat center on the sandy shores of Lake Michigan. Arcadia exists to provide a setting for families and individuals to enjoy a vacation together and be renewed in spirit, mind and body – enjoying the beauty of the lake surroundings and the community of fellow campers. During a family week you might square dance, play basketball, shuffleboard, softball, tennis or soccer, create a craft, participate in a talent show, compete in family games or shoot archery. Every member of the family will be engaged spiritually through the daily morning study, presentations, and worship. Each of the family weeks at Camp Arcadia is unique in that different speakers bring their knowledge and style to the program. While adults are in their program, children (age three through college) are engaged in their own study and activities led by our program staff. A nursery for those under three is also available. Daily programming also features activities (athletic, craft and nature) for children and adults to do on their own or in family groups. You will find places at Arcadia to be by yourself, have intimate conversations with others, and be with small and large groups of people. At Arcadia, you will find the time to experience each of these types of community. Plus, maybe we can grab a meal or two together in the canteen. I hope to see you there. In one sense, they are totally right. The issues of sexual violence, assault, and the abuse of women were prominently back in the spotlight this week. Women were sharing their stories again. The pain was evident. So was the righteous anger. So was the resolve. To all the women who spoke up and out, I want you to know that I hear you. I believe you. I am inspired by you and humbled by you. Still, in another sense my friend’s statement was only half true. Instead of saying it’s been a rough week for women we could say it’s been a rough few months. Or a rough few years. A rough decade. Or several strung together. Some of the stories that women shared this week included assaults and incidents that occurred a long time ago. The event may be in the past, but the pain is still very potent. The environments that allowed for these things to happen still exist. Worse, they are still excused and defended. We have to do better. We have to listen. We have to lament. We also have to repent, because as true as it is that it’s been a rough few decades for women we could also say it’s been a rough few centuries. A rough era. A rough epoch. Or, we could just humbly admit that it’s been rough to be a woman since time began. If there is one thing that the #MeToo movement has taught us is that women’s struggle against abuse, assault, and inequality is a tale as old as time. It is also a story that needs to change. That’s where the #ChurchToo movement comes in. It has shown us that things need to change when it comes to religious communities as well. That is why I am proud to be small, if humble, part of Sojourners’ “100 Sermons” project. When #MeToo went viral in 2017, the movement paved the way for #ChurchToo and #SilenceIsNotSpiritual, hashtags that insisted that because Christians are not immune to perpetrating sexual and domestic violence, they must actively denounce it. Christians all across the spectrum spoke out online against abuse. But we wanted to know, would faith leaders be willing to elevate the conversation from Twitter to the pulpit? They found those sermons and posted them online for readers to search and learn how to make religious communities safer for survivors. You can search the collection by location, scripture, or denomination. One of my sermons is part of that database. The quote they pulled out is one I continue to stand by. I hope you can appreciate these words. Let them sink in. Let them hit you. Let them unsettle you. Let them move you to action. For people who have been abused, there is no quick fix. I wish I could say there was. However, as the promise from Isaiah makes clear, in Jesus there is hope and healing, liberation and justice. I can only pray that the reality of those promises are evident in your life in the days, weeks, and years to come. Until then, religious leaders like me have work to do—to interrupt the injustices being perpetrated by our very own leaders on our very own people. Through this process, and over the last week, I am learning that it is not enough to be an ally. It’s not enough to preach a sermon. Instead, it’s time to revolt against a system that has — for far too long — abused, ostracized, and ignored the very people who have often made that same system as great, just, or humane as it possibly could be: women. I continue to learn. I continue to grow. I continue to mature. I pray that you’ll join me by listening to, and learning from, more of the sermons on the “100 Sermons” site. FYI…this is not me. Like definitely not me. My feet were dragging across a rocky singletrack trail in the Superstition Wilderness east of Phoenix. It was nearly 90 degrees outside and I was 43 miles into a 52.4 mile run—a double marathon. The entire right side of my body was cramping, my legs were sapped of energy, and I could feel my heart rate climbing like a mountain goat up a scree field. I hurt. I hurt bad. I was in what ultrarunners call the “pain cave,” and I was trying to claw my way out. As deep as I was in that abyss of agony, it was about to get worse. Tired from the accumulated miles and stress of the heat, my legs faltered and my toe caught a rock. I tripped, face-planting into the dirt, crags, and cacti below. It was then that I faced a choice: to pick up my sorry, spasming body and continue on — or, to slither into the scant shade provided by a lonely piñon pine and hope that a hiker or runner would find me before I shriveled up into dust, disappointment, and despair. That moment called for courage, and I didn’t know if I had any to summon. For some of us, Lent isn’t just a season—life is Lent. Suffering, decay, and death surround us. Anguish, sadness, and penitent reflection seem the order of life. 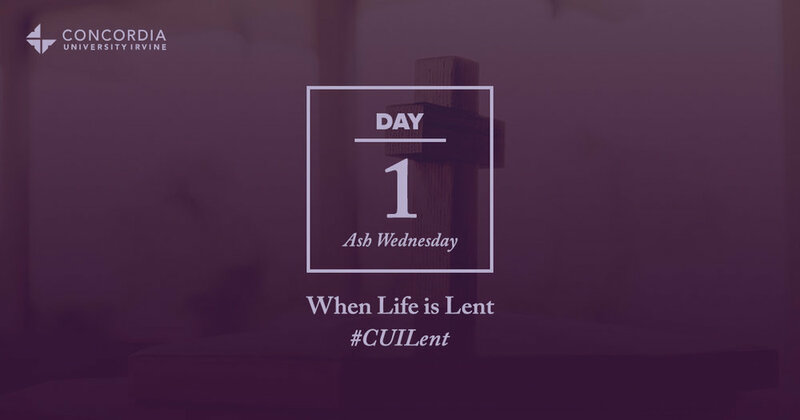 For those confronting a debilitating disease, prolonged divorce, natural (or human-made) disaster, or an unexpected death—life is Lent. But I am inviting you to journey with me -- and many others -- through a series of spiritual signposts and devotional thoughts this Lenten season. Lent is a traditional time of somber reflection and hopeful expectation in the Christian church. And so, Concordia University Irvine asked various alumni to contribute to their Lenten devotional. It launches today with my own piece, "When Life is Lent." For those of you of Christian persuasion, you might find it helpful for the 40 days of Lent. For those of you who aren't Christian, I invite you to learn a bit of what Lent is about from a Lutheran perspective. If you feel it, subscribe with your e-mail and journey with me and others this Lent. Religion has a serious, systemic, abuse problem. One time, I wrote a letter to Pope Francis. I know…ridiculous. What wasn’t ridiculous was the message I wrote to him: that before he goes off to save the climate and solve the refugee crisis and bring peace to the Middle East, he first needs to take care of priority number one—addressing sexual abuse in his church. The Catholic Church has gotten the bad rap of being the sole proprietor of sexual abuse within religious institutions. But, as James Nolan wrote for VICE a couple years ago, “Modern history has been riddled with revelations of religious child abuse.” From New Religious Movements to Buddhists, Muslim madrassas to Mormon schools, Hindu gurus to Methodist ministers, it seems that religion has a serious, systemic, abuse problem. Have you ever found yourself longing for a more tangible spirituality? Have you dabbled in practices that help you feel more physically in tune with God? Some of us need something more tangible and physical for our spirituality to come alive. In this post, Ken explores what it might look like to employ a more touch-centered approach to spirituality, worship, study, and discipleship. The other day I was spending some time with a friend who is in human resources at a major recreation company. As we talked about his experience and training he reminded me of an important principle: diversity and inclusion are not one and the same. While we often hear them together, and they are related, diversity and inclusion each have their own meanings and applications. Understanding the difference can help churches build a more welcoming, all-embracing, and multi-ethnic church. Currently, the Lutheran Church—Missouri Synod (the LCMS, the church I’m part of) is one of the least diverse religious groups in the U.S. While the nation’s overall population is growing more racially and ethnically diverse – and so are many of its religious groups — the LCMS is not anywhere near keeping pace. Among the Pew Research Center’s recent survey of 30 different religious groups, the LCMS ranked 28th in terms of racial and ethnic diversity (among five racial groups: Latina/os, non-Latina/o whites, blacks, Asians, and an umbrella group titled “mixed-race”). In other words, we are overwhelming, homogeneously, white. Whether it’s the long lines at the post office that are making you angry, the pain from the loss of a loved one last year that lingers, or the stress of putting together the perfect plan for your Christmas party, worship service, or program it can be hard to have fun at Christmas. And yet, one of the promises of the good news of Christmas is that it can, and should, be fun. Even so, Christians are too often known for sucking the joy out of the celebrations this time of year. Leading up to Christmas, we can be better known for tension than trimmings, for freaking out rather than reaching out, for anger rather than anticipation. The invitation to both leaders and laity this season is to let go of the everlasting burden of being so serious, sullen, and always trying to sound so profound. On Nov. 8 you will sin. I guarantee it. Especially if you’re planning on voting, or already have voted, there’s a 100% chance of sin being involved. As human beings, created by God, we are called to participate in the political system of our community. This is part of the “cultural imperative” given to us in Genesis 1:28. We are called to live in, co-create, and engage our community — at the international, national, regional, state, local, and familial level. Sometimes, we are called to make tough decisions that affect the politics of our community. Such as: does the toilet paper go up and over or down and under? Those of you who navigate the politics of a household know this is a political decision, one that has ramifications far into the future. I say this not to make light of political decisions — like voting — but to call to our attention the necessity to hold these political deliberations in proper perspective and to diagnose them for what they are in light of God’s reign over all things. Those with faith in God have been wrestling with the politics of living together in a fallen world since, well, the world fell into sin. Throughout human history God-fearing individuals and communities sought to know God’s will for their nation, their empire, their city, their family. At times, Jesus followers and God’s chosen leaders made wonderful decisions that led to breakthroughs in liberty, freedom, and justice. Other times, not so much. Still other times, they sinned gravely and were on the wrong side of justice, freedom, and liberation. When we head to the voting booth on November 8 or send in our ballot by mail, we will enter into this long tradition of deciding. Join Ken in NOLA for the LCMS NYG! Too many acronyms? Let's break it down. Ken will be speaking in New Orleans (NOLA) for the Lutheran Church - Missouri Synod's (LCMS) National Youth Gathering (NYG) from July 17-19, 2016. Having been a part of the last few NYGs as a participant, volunteer, and speaker Ken is excited to return for the 2016 edition to speak on two topics close to his heart: faith and popular culture and Islam! Fresh from a breakfast of piping hot spaghetti on toast and loud laughs, the employees at Joyclas Farms headed back to work for the day on the New Zealand dairy farm. There was important work to be done. The smell of sweet silage hung in the air and the strikingly iridescent grass of the paddocks shone in the early morning sun. We drove past a patch of turf that was unwieldy and overgrown. As yet jejune in my dairy farming apprenticeship, having grown up in the Los Angeles area, I wondered aloud why this pasture was different than all the rest. Leaving a field to lie fallow means leaving a paddock to be unseeded, uneaten, and unspoiled for a season or more. It is one of the best ways farmers can allow the land to replenish its nutrients and regain its fertility. It also helps prevent erosion — the roots of the plants left free to grow help to hold the soil in place against the ravages of wind and rain. When fallow, the field is at rest so that it can serve its function to feed the heifers for years to come. Just as fields need to lie fallow, so does all creation — including us. In a world that is rife with addiction to busyness, it is imperative that we rediscover the lost art of re-creative rest. What makes a church beautiful? Is it slick worship slides? Well-dressed families? Stunning stained glass? Perfect pews? High-quality music? Good looking and well-respected members of the community? What if your church uses old hymnals? What if the families are broken? What if the walls are sullied and the seating busted? What if the organ is out of tune or the soprano squeaky? What if your people are less than perfect and their lives a bit messed up? What if you don’t like your church? The church isn’t beautiful because of its position in society or its pretty facilities, families or frills. The church is beautiful because of what God is doing in, through and with it. A pub-hymn-sing-a-long? Yes. Yes please. It's Friday night. You walk down to your neighborhood pub for a couple of pints and to listen to some live music. As you settle onto your stool and order a hop-fresh IPA or a crisp kölsch the tunes start. You recognize the song and start to sing along. Is it a top-40 hit? Kind of...but from 1664. It's "My song is love unknown" originally written by Samuel Crossman and performed and arranged by New York based artist Blake Flattley. Flattley has been performing and singing for over a decade and says he loves three things: a great song, a great drink, and spending time with great people. "Why not have all of them in one place?" he asked. So was born the idea of the "'There Will be Rest' Pub-Sing-a-Long Tour." Releasing his newest album, "There Will Be Rest" -- a collection of re-arranged hymns and original music -- earlier this year, Flattley is now raising funds to host a series of pub-sing-a-longs all over the U.S. in celebration. He said, "the idea is this: we gather together in local pubs, sing some hymns, enjoy some great beer and hear some of my songs that you may be familiar with." The key is getting people in cities across the U.S. to support the tour. Flattley launched a Kickstarter campaign to get him across the nation. Below is an interview with Flattley about his music, his motivations, and his . You should definitely check out his music and consider having him to come to your favorite watering hole for a sing-a-long and some suds for as little as $5! Flattley's new album, "There Will Be Rest." I've been playing in clubs for a long time, and now, though I'm still playing clubs, I've been playing in a lot more churches outside of my own. I kept getting the question, "which of these cds have the music you just played during the service?" and the answer was none. Eventually, I had enough people ask and the timing was right. I'd been in New York City working with my church for about two years, and I connected with some fantastic musicians. It was a strange thing, I would throw out a musical reference and get a response back of, "I've played with them"(Sufjan Stevens, The Welcome Wagon, The Lone Bellow). Once I set to work choosing the songs for the record, the theme really flowed out of my experiences in New York. The mantra of most New Yorkers seems to be that they are tired and busy. Not busy like most, where they say they are busy almost as some sort of status symbol. New Yorkers are busy because the rent is high and they have to take every gig they can to make ends meet. Its a matter of being able to make it. The title and title track, "There Will Be Rest", flowed out of that. I wanted to create a record that both sonically, and lyrically, embraced that theme. Why a “pub-sing-a-long” in particular? I like the idea of a pub sing because it in some ways unites my two worlds. There's also the folklore behind so many great hymns about how they were written with bar tunes and then brought into the church. Though that is largely believed to be myth, I still like the concept. I don't want to take myself too seriously, and I like singing with people and enjoying their company over a good beer so, why not? What do you imagine this is going to look like? We'll gather together in local pubs and for about the first forty five minutes we'll sing some great hymns. I'll invite some of my friends along the way to join in with leading the singing. I'm putting together, essentially a digital lyric sheet for everyone, so if they don't know the hymn, they can pull out their phone and scroll through the lyrics. During the second set of the night I'm planning to sing some more of my arrangements as well as some original music that people will still be encouraged to sing along with. To be clear, it won't be a church service. When are you heading out? Where are you going, or would like to go? I'll be kicking off the tour in January, heading out to the North West and then kind of bouncing around the country from there. I'm planning to essentially head anywhere there is a critical mass of people who show they are interested by supporting the kickstarter campaign. My thought is to head to Texas, California, Arizona, maybe the midwest and then of course a few East Coast dates. Are you going to shut down the pub that night or just go for it with the crowd? For that matter, how do crowds react to your religious music? Really, anyone that wants to sing and have a good time. I don't want to shut down the pub but instead, sing with those that are there. Some people may not be into it and that's ok. It's interesting, I thought I was carefully splitting up my "religious" songs from my "secular" songs but once I started mingling them, I realized they're not all that different. One of my main goals as an artist is simply to make good art that explores the human experience. Religion is a part of that. Tell us what you are doing with music and ministry in NYC. How does this project tie in? I'm the director of worship and arts at Our Saviour New York. We're a church of two parishes, one in Queens and one in Midtown Manhattan. We do a ton with local artists, sponsoring songwriter rounds, holding artist showcases for storytellers, bands, comedians and we just recently started exhibiting visual art. We love to engage with our community and experience what they're creating and to see how we can support and encourage them. I also play a lot throughout the city at various venues, not typically singing hymns. In addition to all of that, I've got some new musical projects in the works, but its still a bit too early to get specific. This project was really just an idea that I thought would be fun. A kind of experiment. Why do you think people are flocking to pub-hymn-sings, TheoPubs, and brewery-based missional communities? I think for many people going to church is weird. Not in the sense that the experience is weird but they feel a weight of expectation. To perform in some way. A pub doesn't come with the same expectations. People can be a little bit more who they really are. You can hopefully do that at church as well but it just takes some folks a little longer. Its funny, the other day I went to Trader Joe's and they have the option to fill a six pack with whatever loose beers that they have. When I got home and was loading them in the fridge I realized that for every beer I had purchased I could remember who had introduced me to it. That being said, my favorite beer currently, I actually first got to try thanks to you, Sixpoint's Bengali Tiger (we also currently have this on tap at OSNY). What do you do when the deuces hit the air ducts? Sometimes, things don't go according to plan. In those moments of crisis it's easy to curl up into a little ball or overreact and cause more fallout. How can leaders navigate a time of crisis with their church, organization, or community? Here are three axioms -- timeless truths -- from seasoned leaders to help you chart the course. Do people need more grace? Walk into your church. Step out into the streets. You will find people hurting. Limping along in life. Struggling to understand, and seek out, faith, love, and hope in the midst of the problems of pain, death, and the tension between what is and what ought to be in this world. In Sterling Heights, Michigan the battle over the proposed construction of a mosque precipitated religious and cultural tension between Christians and Muslims. The UN reported that Christian militias are engaged in ethnic cleansing of Muslims in an ongoing Central African Republic civil war. At the same time, over the previous weekend (October 11, 2015) after hearing about armed protests scheduled to take place around mosques throughout the U.S., hundreds came out to rally around their Muslim neighbors in support. While her work is primarily in Southern California, the impact is global. Michal, and her Muslim friend and partner Sondos — who together maintain the site MissUnderstanding.co — are confident that what they do is a significant part of the peacemaking process across the world. One of the many projects Michal and Sondos are working on is the “People of Peace Documentary.” The project is about Muslims and Christians learning what it means to become friends while staying true to their faith. In the clip above, twelve Christians visit a local mosque to learn more about their Muslim neighbors. They are paired with a Muslim their age and gender to talk about what their faith means to them. The goal is to talk candidly and openly about any subject. As Yehezkel Landau wrote, “We need to develop educational strategies to overcome the ignorance that leads to prejudice, which in turn leads to dehumanizing contempt, which in turn breeds violence.” Friendships between people of different religious persuasions are not only personally fulfilling, but educationally efficacious and potentially life-changing. Sometimes, people talk just once. Other times, they make lifelong friends and change the world together. Watch the video to find out more and to consider a program like it with your local masjid or church communities. Middle East Conflict: What is Mine to Do? *This is a guest post from Michal. Together with her friend Sondos the pair post on the site MissUnderstanding: Two Faiths, One Friendship. 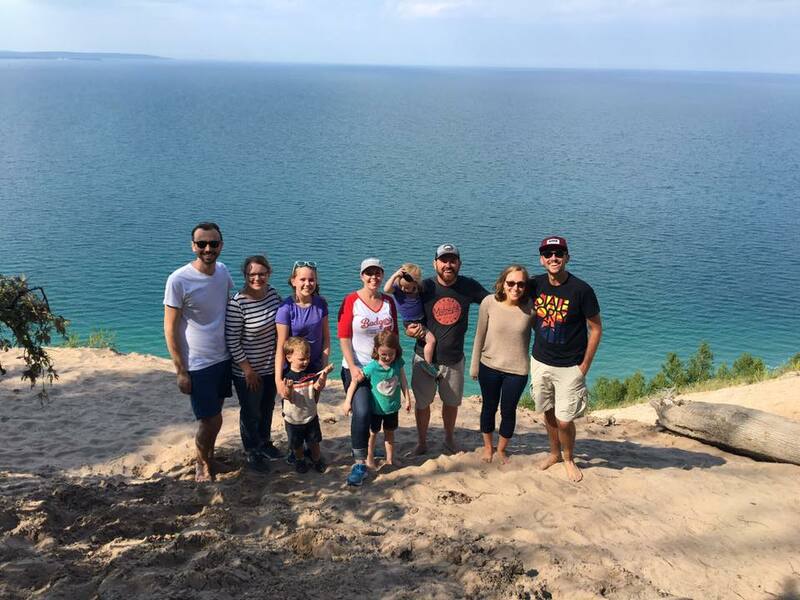 The blog is, "a space where Michal and Sondos will post their reflections — independently and jointly — on what it means to be a practicing Christian and practicing Muslim while building a foundation of mutual respect and understanding." Reading through their reflections, their honest musings, and personal lessons is refreshing. It challenges individuals on all sides -- believing or not, liberal or conservative -- to consider what it means to build relationships across religious and social boundaries to find something beautiful and more fulfilling than what the popular, but misplaced, "us v. them" divides often do. That theme is a regular motif on this site. Thus, I invited Michal to repost a guest blog for this site, in which she talks about "what is ours to do?" when we see/hear disparaging news from the Middle East, which is unfortunately so relevant amidst news from Syria, Iraq, Palestine, Yemen, and elsewhere. Thank you Michal. Watching the news about the Middle East each day is overwhelming, to say the least. Muslims and Christians (and many other groups!) face death, loss of family and friends, property and dignity. The suffering and pain is indescribable. Several close friends in the region are doing very brave work providing in medical, educational and spiritual help wherever they can. The work is overwhelming, but they push on and make a difference. I am very inspired by them. So much so that I have strongly contemplating leaving my life in the US to join them. I especially wanted to help refugee kids like in the picture above that I used for a research project on Syrian children. Part of that desire was coming out of a growing love in my heart and another was coming out of guilt. I felt bad for my comfortable life in the West and wanted to do what my friends did in the Middle East. However, upon praying and investigating it further, I did not get confirmation from God that it was my time to go. It is clear that He has work for me to do here in the West right now. Still, I couldn’t help feeling disappointed and unsure what I needed to do with the strong urge to want to do something. First off, they asked for prayer. God can do things we think are impossible! A second would be to get educated. They advised me to read from different sources about what is going on and seek to get a first-hand account from people that are living in the region. Lastly would be to support organizations that do great work in the area. Many of them are extremely underfunded. I prefer to focus on organizations that do not only help their own faith community, but anyone and everyone that is in need. One such organization is Preemptive Love. They provide heart-surgeries, refugee relief and business development for Iraqis, Syrians, Libyans, Pakistanis and on and on. My favorite part is that they have wonderful stories of Muslims and Christians working together for peace and healing, stories that are often not heard in mainstream media. The funny thing is that these hopeful stories encourage me in my work of peacemaking in the US. If Muslims and Christians can make peace with each other right in ISIS’s backyard, what is stopping us? We cannot all go to the Middle East and help out, although I pray many will and I can go one day as well. However, we are all shaped uniquely and can all help in a small, yet still very significant way. It starts with one courageous prayer a mentor of mine taught me to pray… we ask God: "What is mine to do?" Exhausted from a double-header of liturgy and preaching, Caleb came running up to hand me his Sunday-school artwork. It was a mosaic. Of sorts. He had attempted to craft a paper-maché and mixed media mosaic of the loaves and two fishes from the Tabgha chapel in the Sea of Galilee region in Israel. Let us, to say the least, admit that Caleb is no Da Vinci. Perhaps more of a Picasso, but no classical artist for sure. The elementary mosaic had glue in all the wrong places, empty spaces, and roughly cut pictures of random loaves and cartoon fish. Fine art it was not. But it was beautiful. Like the Christian church itself it was muddled, misshapen, and makeshift. Naturally, I loved it for what it was and cherished it for what it represented for me — the fluky, flailing, and often times frightful church I find myself a part of. In her latest book — Accidental Saints: Finding God in All the Wrong People — Pastor Nadia Bolz-Weber has written a story of her church, and the Church, that is raw, honest, and full of grace in all its visceral glory. If her last work, Pastrix, was her personal narrative told through life in community at House for All Sinners and Saints (HFASS) — the church she planted in Denver, CO — then Accidental Saints is the story of that community told through the personal lens of its “pastrix," Nadia Bolz-Weber. What Bolz-Weber reveals is challenging, gender-bending, and boundary breaking for those with stricter, or more conventional, conceptions of why the Church exists, what it is, and who is part of it. It is the story of saints who don’t quite fit the conformist molds and the account of their pastor who is broken, grace-filled, and transparent as she wrestles with God’s favor poured out on unlikely individuals and blessing coming through unorthodox benefactors. Grace is the central theme of Bolz-Weber’s work; but it ain’t your grandmother’s grace. Claiming she is “not bound by legalism and shame” Bolz-Weber proclaims “the freedom of a Christian” that is found in a grace-filled community of brokenness, imperfection, and stumbling, bumbling, inefficient, healing. “It’s powerful, but it’s offensive at the same time, because it’s not fair, and it doesn’t work into our notions of justice. It changes us, and it’s what we need, but it doesn’t mean it feels good,” she said. Of course, this grace cannot be experienced outside of community. And community is central to the story of Bolz-Weber and HFASS. She said, “the beautiful, radical grace that flows from the heart of God to God’s broken and blessed humanity” is impossible outside community. For that matter, she sees herself as just another “accidental saint” with flaws, inoperative parts, and regular failures. If people get pissed about her colored language or her unusual take on things, so be it. Let the naysayers call her a sinner, a heretic, a pastrix. “I think that God’s work in the world is and has always been done through sinners,” she said. As many of you know, I started my service as an ordained Lutheran pastor in June. While I am nowhere near "burnout" I have been challenged, and comforted, in my early days as a minister by reading That Their Work May be a Joy: Understanding and Coping with the Challenges of Pastoral Ministry by personal friend/mentor Kurt Fredrickson and his colleague Cameron Lee. Reflecting on their work and hearing news from friends and family from around the world of professional ministry I wrote a post this week on FIVE WAYS that congregations can avoid seeing their pastors and leaders burnout before they are able to bless the community. This message starts with "mu shu" pork & ends with pig races. One story reveals hospitality and friendship. The other hostility and ill feeling. In between, it's about why Christians must take the steps to build relationships with our Muslim neighbors, what basis that has in Scripture, and how fostering a posture of friendly, conversational, and cooperative engagement with Muslims is absolutely central to the work of the church in this historical moment. Thanks to CrossPoint Community Church, MAS Katy, and my friends for the opportunity to speak, share these stories, and be a part of such an important conversation.